Trombonist and band leader Don Lusher would have been 90 this month. Depending on how far you go back you may remember him as a Radio 2 regular playing with his own Big Band in the 1970s and 1980s. In the 1950s he played with Ted Heath and his Music and, years later, would lead the Ted Heath outfit until 2000. I was reminded of Don a couple of weeks back when he was mentioned on Clare Teal’s Sunday night show. Digging through my tapes I’ve unearthed this session featuring the Don Lusher Big Band with guest singer Valerie Masters recorded for Radio 2 in 1978. Here are some selected tracks. These recordings are not commercially available, though Don had previously released at least two of them on record earlier in the decade. Kicking things off is Cole Porter’s It’s Alright with Me featuring the tenor sax of Tommy Whittle. 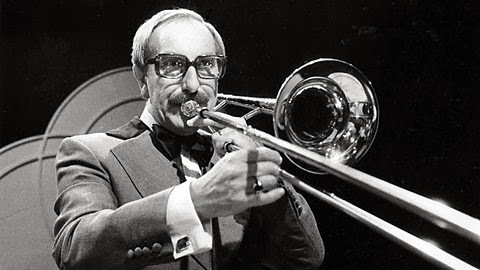 Tommy, who died just last month, also played with Don in Jack Parnell’s ATV Orchestra and the Ted Heath Band. Valerie Masters joins the band for The Best is Yet to Come. Written and arranged by Don this is DL Blues featuring Albert Hall, the trumpet player not the concert venue. Ray Davies, of Buttondown Brass fame, wrote Martinique. You may remember this tune as one of the themes from Radio 2’s Two’s Best. One of Don’s own compositions this is Carnaby Chick. Be Good to Me was originally recorded by Deniece Williams. This arrangement is by Ken Moule. Stuff Like That was recorded and released by Quincy Jones is the same year as this BBC session. Barry Forgie, who would for many years conduct the BBC Big Band, arranged this version. Finally another piece used as a theme tune: Ragging a Bone was Alan Dell’s choice of opening music for his time on The Late Show in the late 70s. It was written by Wally Ridley and arranged by Pete Moore. Read more about Don Lusher here. Read more about Valerie Masters here. Where were you the day Kennedy was shot? An oft asked question for those that remember 22 November fifty years ago. I don’t remember the day, though I have a pretty good clue as to what I was doing: it was my second birthday. I was probably eating a bowl of jelly. Imagine if such news like this broke today with instant worldwide communications and rolling news channels. How different it was in 1963 when listeners to BBC radio got this 30-second story of the shooting from newsreader Jimmy Kingsbury before moving on with “the rest of the news”. In this sound montage you’ll hear a brief reminder of John F. Kennedy’s election to the presidency in 1960 and then radio and TV actuality from November 1963. 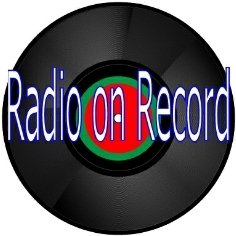 The recordings are taken from US radio coverage, BBC radio and TV and include Leonard Parkin's first report for that evening's edition of Radio Newsreel. 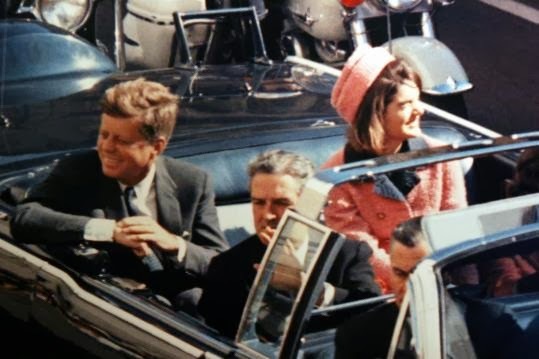 Tonight BBC Radio 2 remembers the events of 22 November 1963 as they happened in JFK: Minute by Minute. CBSNews.com will be streaming the original news coverage in real time over four days from the shooting to the funeral. Look out for a new documentary about the singer, John Denver-Country Boy, this Friday evening on BBC Four.